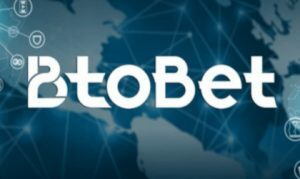 Online casino and sportsbook platform developer, BtoBet, has announced that its innovations are set to be made available to a wider range of operators following its launch of an in-house ‘white-label’ certification program. According to an official Wednesday press release published by European Gaming Media and Events, the Malta-headquartered firm explained that the new scheme will allow existing partners that have successfully completed an evaluation process to provide its own products to others on a ‘white-label’ basis. Sabrina Solda (pictured), Chief Marketing Officer for BtoBet, explained that the new program is to permit her firm’s iGaming technologies to be supplied to third-party operators around the world no matter their location, market or size. Solda declared that the innovative scheme is to provide certified partners with the ability to adopt new business models and possibly diverge away from being solely focused on the business-to-consumer sector to moreover encompass the business-to-business vertical. She also stated that these firms’ local ‘white-label’ associates are to be presented with the chance to enjoy access to a light version of its own gaming platforms, which have been specifically designed to meet the needs of smaller operations. BtoBet detailed that it will be travelling to Johannesburg’s Sandton Convention Centre later this month in order to exhibit at the annual ICE Africa extravaganza. It proclaimed that it has prefaced this trip by releasing its Curbing Africa’s Limitations report, which investigates the challenges and opportunities facing the continent’s iGaming market while offering advice on how local operators can become one of its certified partners.